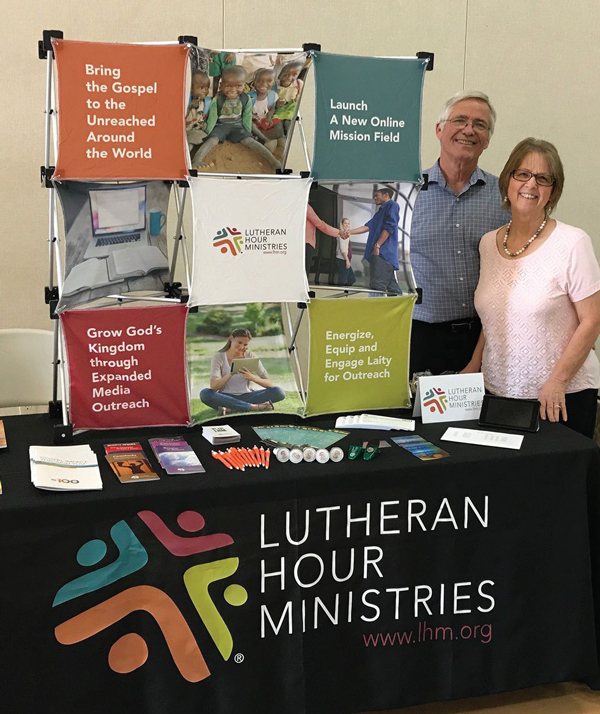 One of Lutheran Hour Ministries’ strategic priorities is toEnergize, Equip, and Engage Laity for Outreach. To achieve that outcome, LHM is dedicated to serving as the congregation’s critical partner in equipping its members. To help facilitate that partnership, LHM recruits congregation members to serve as Ambassadors. An Ambassador is a member of a congregation who helps build and nurture a relationship between Lutheran Hour Ministries and other members of the congregation. To help you in your service as an Ambassador, we've created an Ambassador Planner—It’s a guide that features 12 months of activities and seasonal reminders. Whether you’re a new or veteran Ambassador, our hope is that the planner will assist you in developing monthly activities that will keep LHM in front of your congregation’s members. What do LHM Ambassadors do? Thank donors who support LHM’s ministries and remind them of how their donations help LHM reach hundreds of thousands of people with God’s Word every year! Learn More! (PDF) Click here to sign up! Have questions about the Ambassador program? God bless you as you explore the ministry of an LHM Ambassador!